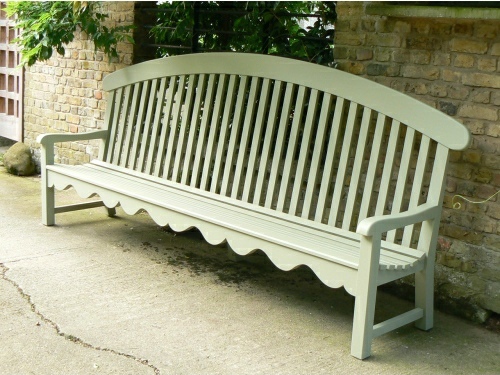 The large Windsor seat is based on the Windsor designs that have their origins in the traditional Windsor kitchen chair used in Victorian time. 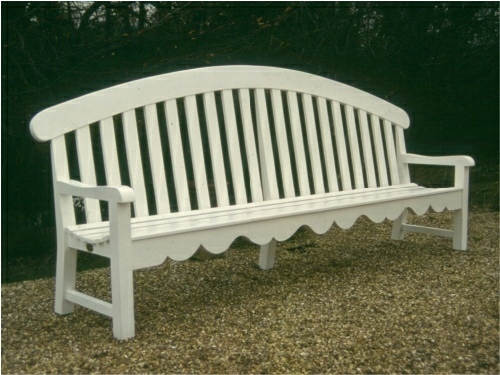 It is a distinctive seat generous in all proportion, being three metre in length. 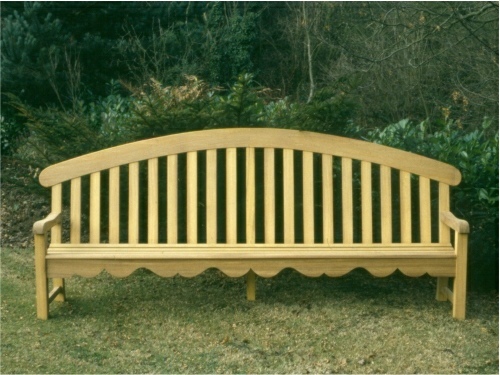 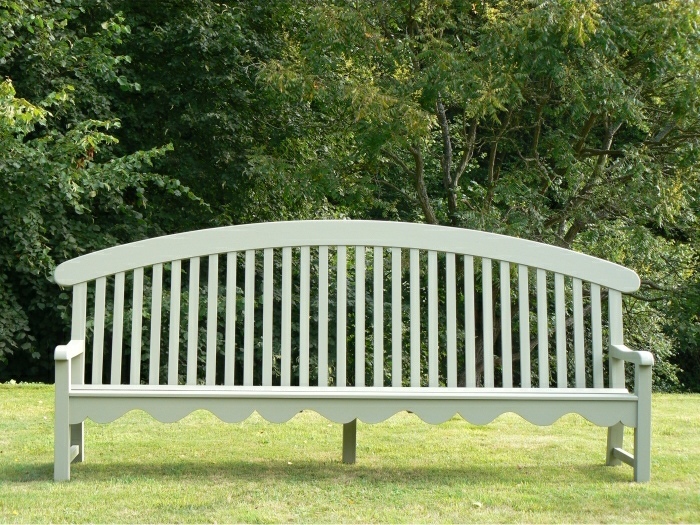 The seat looks good beside a tennis court or set against a herbaceous border. 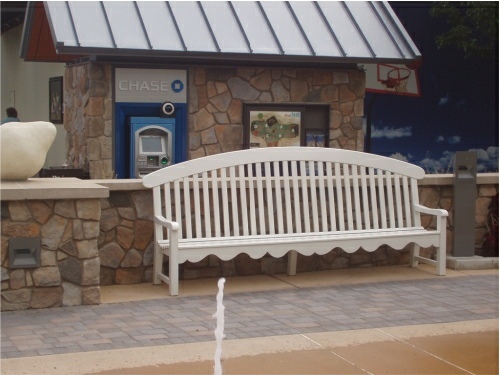 A Designer Mall in Detroit, USA used several dozens of my wide Windsor and Medium Windsor for seating throughout the shopping area.